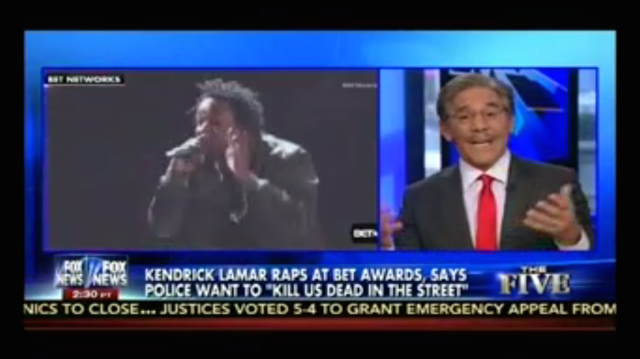 Yes Geraldo, we really have got to wake up at a certain point and understand what’s going on here. Watch the entire gross segment below via Media Matters For America. UPDATE: Kendrick has responded to Rivera’s criticisms on TMZ Live: “How can you take a song that’s about hope and turn it into hatred … The overall message is ‘we’re gonna be alright.’ It’s not the message of ‘I wanna kill people.’ … Hip-hop is not the problem. Our reality is the problem of the situation.” Watch his full statement below.